The responsibility of the Chinese translator does not end with translation of the messages to Chinese. The role of the Chinese translator is to ensure that the Chinese side understands the whole picture while providing assistance and consultation to the company. A professional and experienced Chinese translator knows how to ask the right questions in order to understand exactly how to transmit the messages to the Chinese side. 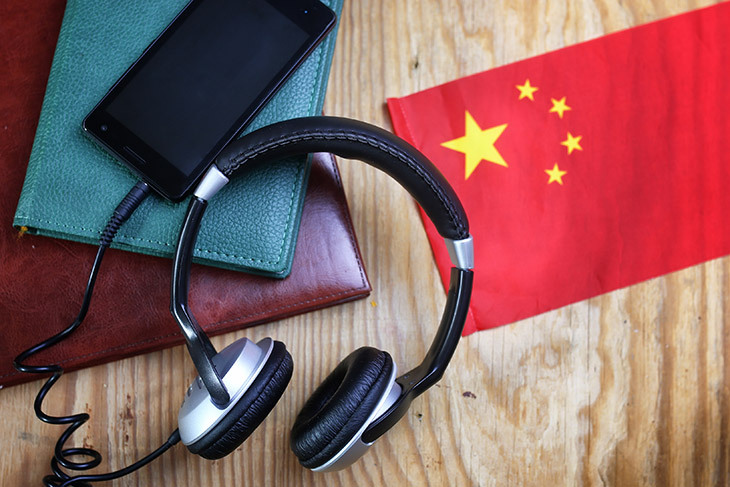 Whether by email, conference calls on the phone or during face-to-face meetings, Chinese translation by GOLD will ensure that the messages between you and the Chinese side are clear and consistent. Chinese translation by GOLD includes: a translator to Chinese and from Chinese during B2B meetings, email correspondence with the Chinese customers, Chinese translation for phone calls and Chinese translators for tours and professional seminars. Translating the Chinese language accurately, requires profound knowledge far more than just familiarity with the language and an ability to express oneself. At GOLD, we will make sure to provide you with a translator that will accompany you and advise you through every step of the way during the translation services. The translation services at GOLD include: Simultaneous translation into Chinese, consecutive translation into Chinese and from Chinese and translation of professional documents into Chinese and from Chinese in a variety of fields. A translator who translates into high-level Chinese is crucial for communicating properly with businessmen from China. At GOLD, translators that translate into Chinese are familiar with the Chinese culture and the manner in which the businessmen from China expect the information to be transmitted accurately while maintaining the smallest nuances that are crucial to both parties. At GOLD, our translators provide Chinese translation for special areas of business such as: legal, medical, agriculture and more. Each of our Chinese translators is able to listen and understand the local side and provide an accurate translation in Chinese to contribute to the success of the transaction. At GOLD, we will provide you with a Chinese translator who is familiar with the Chinese language and the Chinese business culture. Our translators from Chinese are prepared ahead of time before translating between the local and Chinese parties. Every Chinese translator at GOLD has extensive experience working with Chinese businessmen and transferring messages from Chinese to Hebrew in a coherent and accurate manner. At GOLD, we are aware of the fact that there are situations in which there is a third party in the negotiations of complex transactions or during other business meetings making English translation essential as well. We will provide you with an English-Chinese translator who will allow you to to focus on the business aspect rather than on the language aspect of the interaction, during the meeting with the Chinese businessmen and an English-speaking third-party. In mixed delegations with members from different countries including Chinese businessmen, the recommended language of translation is Chinese. Therefore, we recommend that you choose an English-Chinese translator who is fluent in Hebrew, so that the message that you wish to transmit will be heard by the translator in two different languages, allowing the translator to transmit the message in Chinese in the most accurate and precise manner possible, while maintaining the business context. Translation from Chinese to English requires familiarity with the nuances of both languages. Business Chinese and Business English require extensive knowledge of the vocabularies in each language, added to the daily use in both languages. At GOLD, all of our Chinese-to-English translators are experienced in Chinese-to-English translations and hold advanced degrees in business from leading universities in China and Israel who are therefore fluent in both languages. Remember, the business culture in China does not leave room for error. Successful business hospitality requires a Chinese translator who offers added value when a delegation of businessmen from China comes to Israel. Any business transaction depends first and foremost on the communication between the two sides. Translating messages into Chinese requires a Chinese translator who sees the whole business context before transmitting clear and coherent messages to the Chinese side. We will be happy to provide you with a Chinese translator that will help you with all modes of communication in your interactions with businessmen from China.